The Winter of 2018 is upon us, and for many of us that will mean more indulging and less physical activity. Maybe you are savoring the waning warm days of a Southern December, trying to tone up your body before the urge to hibernate sets in. It’s the same as we prepare in our working life for our retirement years. We’d all like to be in top financial shape when we retire, so we can enjoy the fruits of our labors, be it travel, more time with family, or just relaxing with our favorite pursuits.Unfortunately, Americans older than 65 are working today in record numbers, and millions are doing so out of need, not by choice. Many people are entering their golden years with alarmingly fragile finances, according to a recent article in The Washington Post titled “The New Reality of Old Age in America.” Polls routinely show that most older people are more worried about running out of money than they are of dying. That shows how seriously we should take saving in our pre-retirement years! If we want to live out our golden years and see our grandkids graduate high school (if not college), we don’t ignore our health. In the same way, our pre-retirement years are our best chance to get our finances in shape for the rest of our lives. Build Up Your Rainy Day Fund to cover you in case of major unexpected expenditures. One strategy to guide your savings is the 40/30/20/10 Saving Rule: 40 percent of your earnings goes toward spending, 30 percent for short-term savings (for things you may need in the next six months to a year), 20 percent for long-term savings (your emergency and retirement fund), and 10 percent to use for things you want but don’t necessarily need. Use this formula to determine how much to allocate to each category from your take-home pay each month. Burn Off Debt by paying more than the minimum on your credit card payments each month. By increasing the payment from $37 to $47 each month on $1,500 worth of debt, you could save over $1,200 in interest payments and pay off your debt nearly 10 years sooner. Tighten Your Budget by setting up a realistic budget and tracking your cash flow. Look at each expense and think of ways you can reduce spending. And enlist your family and friends to help you stay accountable. Have a monthly family finance meeting on the same day each month, or choose a friend or family member whom you share your goals with and commit to reporting your progress to them. Get Clear about Wants vs. Needs: What do we really need? Stop and think about it and get clarity for yourself. If you have children, teaching them the difference between needs and wants will empower them for life. Curb the Impulse, Break the Spell: Next time you feel the urge to buy something you hadn’t planned to buy, simply clench your fist or flex your bicep. Voila! The spell is broken and you can actually think clearly again! Wrap Your Charge Cards: Some financial advisors tell you to leave your cards at home to avoid temptation. I prefer to wrap my cards in my goals. Every time I take a card out, I see a picture or some words that represent a goal that’s important to me. I get the opportunity to stop and decide whether what I’m about to purchase is more important than that goal. Distinguish “Big Happy” from “Little Happy”: The Big Happy for most of us is having memorable experiences and being with the people we love. That other stuff we chase? That’s usually Little Happy — fleeting and not very fulfilling. Be Consistently, Consciously Grateful: When we practice gratitude, we feel “wealthier” and more prosperous in all ways. Our self-esteem is greater and we just generally feel happy and appreciative of many aspects of our lives. Because of this, we’re less likely to crave material goods to feed an emotional need. Create Value Comparisons: Rather than falling for some marketer’s value comparison, how about setting up your own? Put a price tag on some things you really enjoy and value. Know Your Spending Triggers: Do you feel driven to buy extravagant gifts? When you have a rough day at work, do you crave some retail therapy to feel better? Are you triggered to overspend in a bookstore, hardware store, or swap meet? “Know thyself” — and especially know your spending triggers so you can outwit them. Just like with physical exercise, these practices will pay off if you stick with them over time. 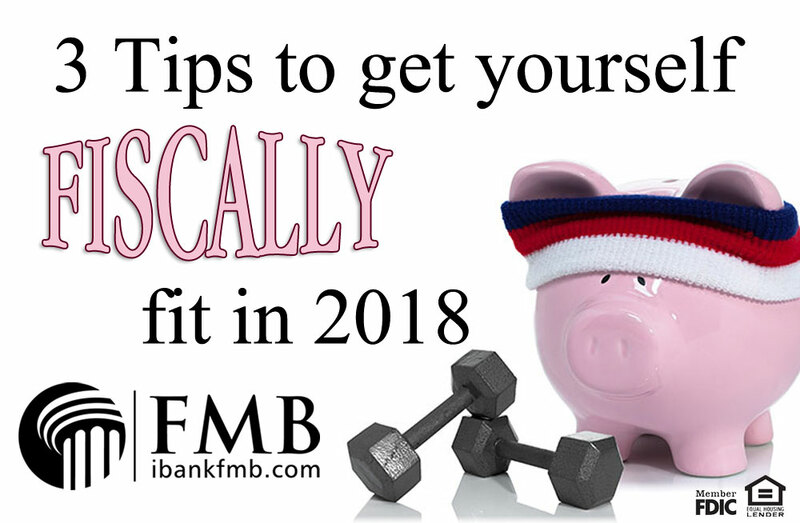 Building your fiscal fitness requires a commitment to exercise your savings muscles regularly.